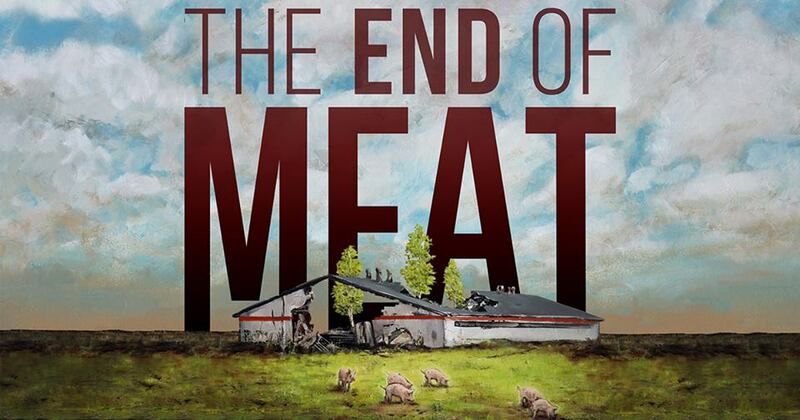 Home » Join us for the Dutch premiere of long-awaited documentary The End of Meat! Join us for the Dutch premiere of long-awaited documentary The End of Meat! In The End of Meat, filmmaker Marc Pierschel embarks on a journey to discover what effect a post-meat world would have on the environment, the animals and ourselves. He meets Esther the Wonder Pig, who became an internet phenomenon; talks to pioneers leading the vegan movement in Germany; visits the first fully vegetarian city in India; witnesses rescued farm animals enjoying their newly found freedom; observes the future food innovators making meat and dairy without the animals, even harvesting ‘bacon’ from the ocean and much more. Check the Facebook event and get the tickets here! All proceeds will go to animal sanctuary Melief. Wow the premiere on January 9 is already sold out, so we’ve organised an extra screening! Please join us on Thursday January 17! Check the Facebook event here, get tickets here. Willem-Pie’s temporary cake café just opened! Ohw wauw ik had er nog nooit zo over na gedacht.